For many that believe that many Nigerian leaders hardly listen and yield to the cry and pleas of their people without a tone of war may be right afterall. 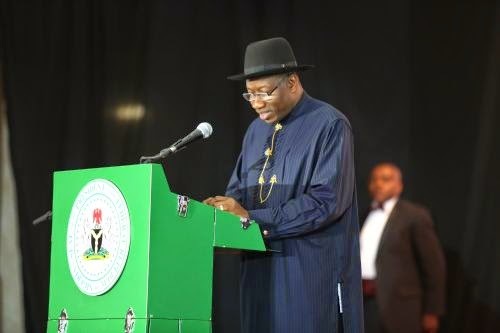 President Goodluck Ebele Jonathan has finally succumb to the threat of the Students' Union of Obafemi Awolowo University to work against him if he refuses to take action on the increased school fees of the school and other bothering matters affecting tertiary institutions across the nation. The willingnes and readiness of President Jonathan to ensure an immediate action is taken on the requests of Ife students was revealed today by the Presidency. The Senior Special Assistant to the President on Youth & Student Matters said this via his twitter page some fews hours ago that the president has directed the Minister of Education to meet with Chairmen Governing Councils and Vice Chancellors of Universities on student welfare. 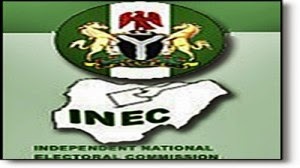 In the forthcoming 2015 presidential election in Nigeria, only one female candidate will be contesting for the presidency, according to the list of presidential candidates released by the Independent National Electoral Commission (INEC). Prof. 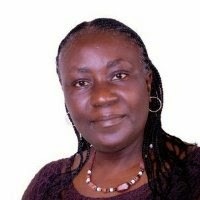 Comfort Oluremi Sonaiya, a former lecturer at the Department of Foreign Languages at the Obafemi Awolowo University, Ile-Ife, Osun State, is the only candidate representing the female gender among the male-dominated candidates. Sonaiya will be contesting under the umbrella of KOWA party, alongside running mate, Saidu Bobboi. In 2008, she was named an International Ambassador Scientist of the Alexander von Humboldt Foundation, and until recently, Sonaiya was the National Public Relations Officer of KOWA Party. KOWA was registered as a political party on July 16, 2009, by a group of Nigerian Civil Society, activists, professionals and technocrats. The press statement issued earlier today by the Obafemi Awolowo University Students' Union has been greeted with various criticisms by students of the institution. The SU President, Mr Ibikunle Isaac and the SU Public Relations Officer, Mr Bamidele Oludare had told journalists that students of OAU are ready to work against the re-election of President Goodluck Jonathan if he fails to accede to their demands with utmost urgency. Reacting to this development, a student activist in the school, Comrade Olubanji Oluwole a.k.a Engels has described the threat from the Union officers as a deviation from scientific struggle as opposed to speculative struggle. Students of the Obafemi Awolowo University, Ile Ife, Osun State, have appealed to President Goodluck Jonathan to fulfill the promise he made to them on reduction in the fees charged by the management of the university or be ready to lose the February 2015 presidential election. The Student Union President, Mr. Isaac Ibikunle, and the Secretary, Mr. Oludare Bamidele, said this in a statement made available to our correspondent in Osogbo on Monday. The president had held a brief meeting with the student union leaders when he visited the OAU to attend a political meeting organised by some Yoruba leaders on the campus. Ibikunle had told our correspondent that the President promised to act fast on the demands of the students for reduction in the fees charged by the management of the university. He noted that some students from poor background had dropped out of school because of the exorbitant fees being charged by higher institutions. The biggest female Hall of Residence in Obafemi Awolowo University was earlier today gutted by fire. Hall took the intervention of the fire fighters to be totally put off. this year. 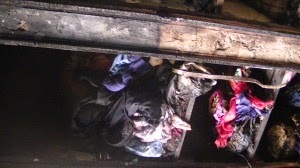 It will be recalled that a room in Block 7 of Awolowo Hall was burnt beyond recognition some months ago. Pictures from the incidence can be seen via our twitter handle(www.twitter.com/oaupeeps). Must be a serving NYSC Member. Course Registration for Rain 2013/2014 Session has finally commenced today, Wednesday, 17/12/2014 at 2.00pm. Kindly use the SHARE button to tell peeps. 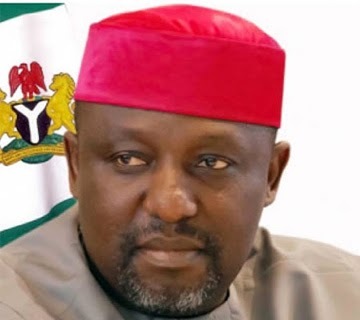 The Imo State Governor, Rochas Okorocha, has picked the governorship ticket of the All Progressives Congress (APC) in absentia as he was still in Lagos for the party’s National Convention which ended on Thursday evening. Okorocha’s emergence as the party’s governorship flag bearer in the state came barely few hours after coming fourth in the just concluded APC presidential primary elections at the Teslim Balogun Stadium in Lagos. During the Owerri event, which took place at the Imo International Conference Centre, the Commissioner for Lands and Urban Planning, Uche Nwosu, who was secretly adopted as the APC governorship candidate by the party’s delegates, announced his withdrawal from the race. Speaking before the ratification of the Governor’s candidature, the Chairman of the Electoral Committee, Mr. John Alamba, said that the party had the power to substitute any candidate that withdraws from the race. 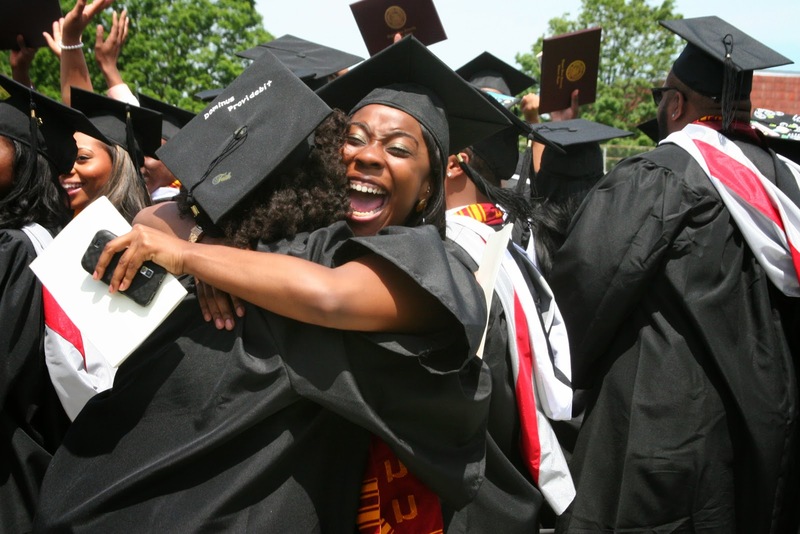 No fewer than 9,094 first degree students of Obafemi Awolowo University will be graduated tomorrow. Professor Omole reacting to the performance, represented by the chairman of ceremonial committee, Prof. Titi Kuku, announced automatic scholarship for first class graduating students in the institution, adding that some of them may be given jobs at their respective faculties as graduate assistants. The Centre for Distance Learning, Obafemi Awolowo University has created a short-lived happiness for some students seeking admission into the prestigious citadel, especially those that are yet to be admitted and were part of the 2013/2014 predegree academic session. "Congrats! 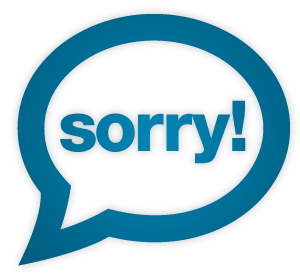 You have been offered admission into B.Sc. Accounting at OAU. 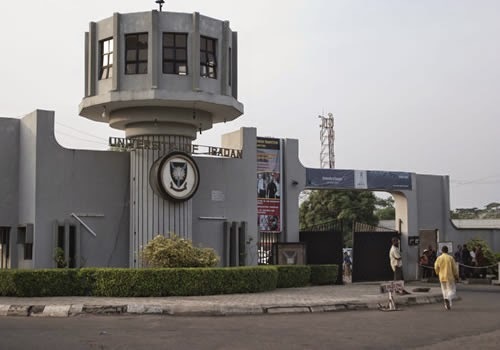 Login to http://eportal.oaucdl.edu.ng Username: Your Pre-Degree No, Password..." These students were very excited when they got the message on the phone thinking it is the long awaited normal admission to resume the 2014/2015 academic session in Ife. They later got to understand it is admission to undertake the newly introduced online degree programme after explanation by colleagues and friends. 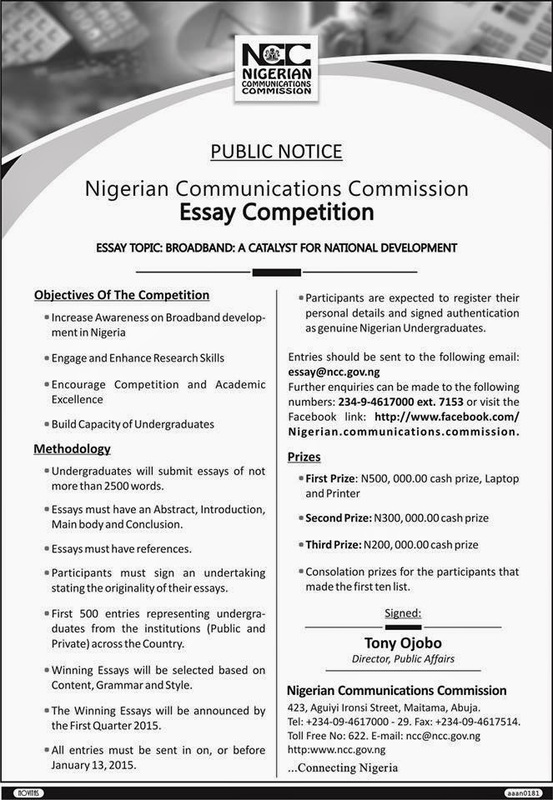 The Nigerian Communications Commission hereby announces an essay competition, open to all undergraduates enrolled in all tertiary institutions within Nigeria. Please download and fill the Registration Form and Undertaking. Increase awareness on the subject matter. Engage and enhance research skills. Encourage academic competition and excellence. Undergrauduates will write not more than 1000 words and not less than 500 words on the essay topic. 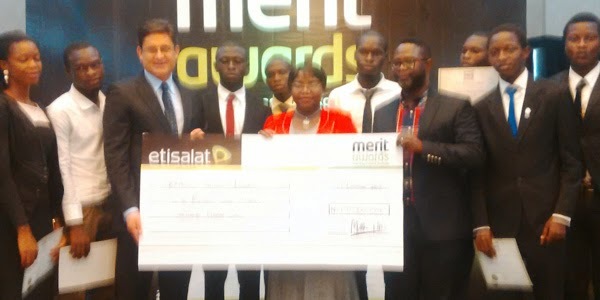 Only first 500 entries representing undergraduates from tertiary academic institutions across the country. Winning essays will be selected based on Content, Grammar and Style. The winning essays will be announced by the First Quarter 2014. All entries must be sent on or before December 16th, 2013. STUDENTS’ UNION FROM ME TO YOU: GREATEST IFE. 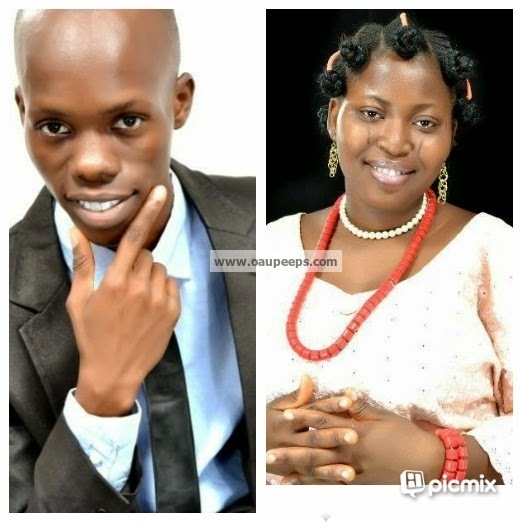 The rift between the Students Uniion President, Ibikunle Isaac Motunrayo and the Vice President of the Students Union, Funmilola Oladejo a.k.a Olori may have ended following the intervention of the national chapter of the Academic Staff Union of Universities(ASUU). 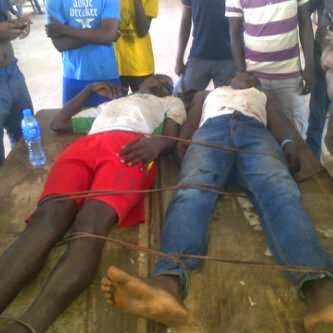 It is quite unfortunate that some two young men suspected to be cultists have been held up in Awolowo Hall for about 24 hours since their arrest by some students. 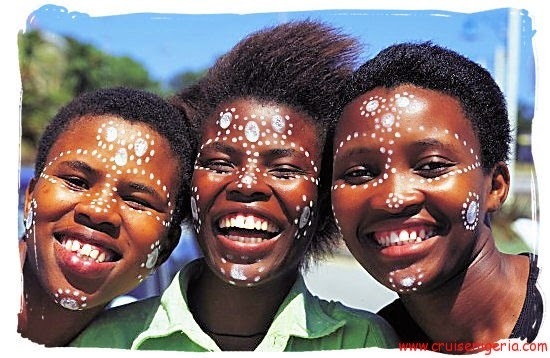 Before aberration becomes a tradition on this sacred land, we have to reason logically and weigh arguments carefully from the two factions involved else the innocent ones will be condemned unjustly. The peculiarity of the examination time and urgency of the message contained in this article will not give me the opportunity to explain things the way I see them but hopefully, I will write again one of these days. 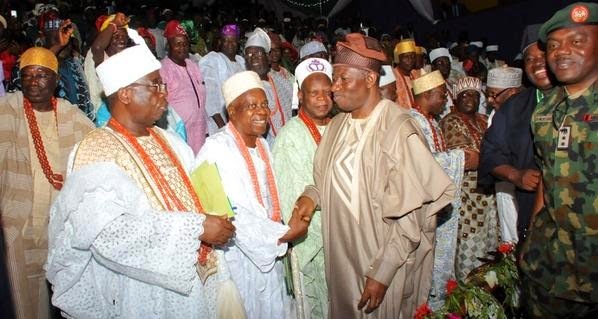 Revolutionary greetings to all and sundry in the South West Zone, Osun state, Ife community and the generality of Great Ife Students on a successful host of the President of the Federal Republic of Nigeria, Dr Goodluck Ebele Jonathan, GCFR for a special meeting with the Council of Obas in South West. The leadership of the Students’ Union is appreciative of the listening character of the President as well as the efforts of individuals who facilitated the meeting with the President. It is imperative at this point to relay the product of the discussion with the President. The Speaker of the SRC addressed the President and submitted the protest letter which he personally received and gave assurances that the major issue in the letter – increment in fees is going to be addressed holistically in no long time as there are other schools that are affected. He committed himself to address welfare issues that affect OAU specifically. Call For Papers; Elections: Means To What Ends? As an event to mark Abiodun Omonijo’s birthday on the 1st of January 2015, we call on everyone who is passionate and still believe in the possibility of a better world to submit papers of not more than 2000 words on the theme; ELECTIONS: MEANS TO WHAT ENDS? THEME: ELECTIONS: MEANS TO WHAT ENDS? 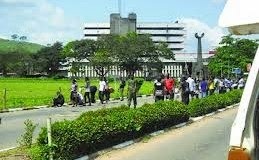 Angola Hall of Residence in Obafemi Awolowo University was another theatre of protest yesterday as students fought against alleged infringement on the right of their colleague who was slapped and abused by the Financial Secretary of the Students' Union, Awoyemi Omolayo Sogo a.k.a Comrade Oye. 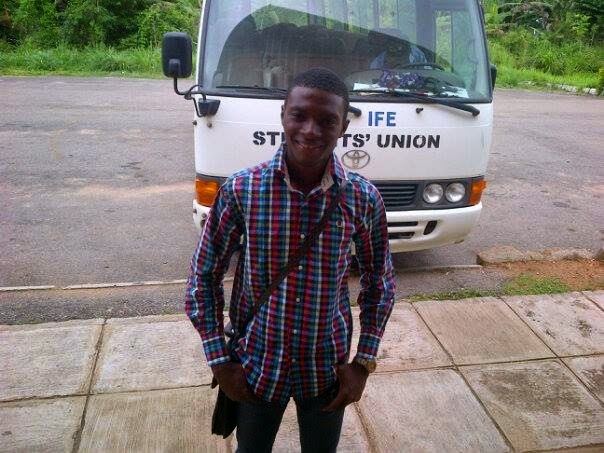 The Financial Secretary came with the President of OAU SU to commission the water project supposedly done by the Ibikunle led administration.After the commissioning, Comrade Oye was involved in an argument with a Part 1 English student named Joy, he threatened to slap the Part 1 guy who saw it as a joke. Comrade Oye carried out his threat and landed a slap on face of Joy, not feeling any remorse for his actions, the aforementioned comrade threatened to slap the freshman again. This irked Angolans who witnessed the saga demanded that he apologize which Comrade Oye declined. 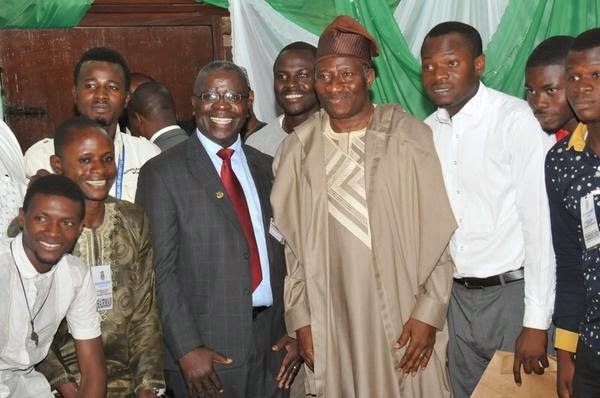 Photos of Students' Union Officers of Obafemi Awolowo University with the president during his visit to the campus yesterday. 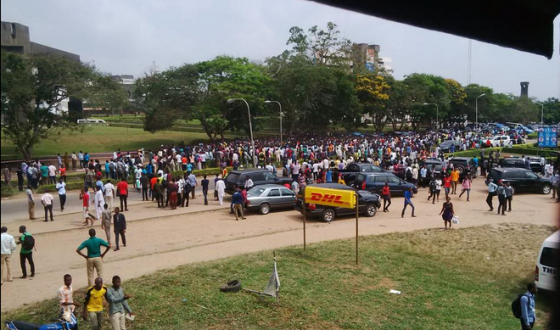 Students of Obafemi Awolowo University today protested during the visit of President Goodluck Jonathan's visit. Some students who were gathered at Oduduwa Hall as early as 9:00am where the President was meeting the traditional rulers chanted 'Ole ole'(thiefs) at them. The students carrying various placards displaying several inscriptions protesting increment in school fees and victimization of students chanted anti-Jonathan songs uncontrollably. Every attempt by the Students' Union president, Comrade Ibikunle Isaac to calm and address the students proved abortive as he was booed and sachets were thrown at him in an attempt to stop him. Protesting students got more aggressive as the meeting ended and security operatives tried to clear the way for Mr President's convoy to leave, the roads were blocked and students refused to be moved by fierce looking security officers that are fully armed to the teeth. Good Morning and welcome to our live-blog of #GEJINOAU at about 7:30 this Morning various men in uniforms were all over the School gate screaming on top of their Voices, desperately searching Ladies bags, Students backpack, Vehicles etc. The Student Union provided buses to convey students into school, but some could not wait for the too long queue as they took to the streets with their legs because of their exams. Business Ventures such as Fivers, Forks & Fingers, Kapersy around the SUB are locked, the same with DHL, Micro-Finance Bank, Kays Chippy around oduduwa hall. On the other hand SSC 201 is going on in various venues in school including Odlt 1 and 2. Accident in front of SUB bike man hits a metallic Colored Camry 2008 Model with FG plate number, thank God no casualties. SUB Cark park is filled with exotic rides. Black Toyota tinted Jeeps are all over campus. PDP Entourage Arrives Oduduwa hall four 30 seater buses and one luxurious bus in colorful. 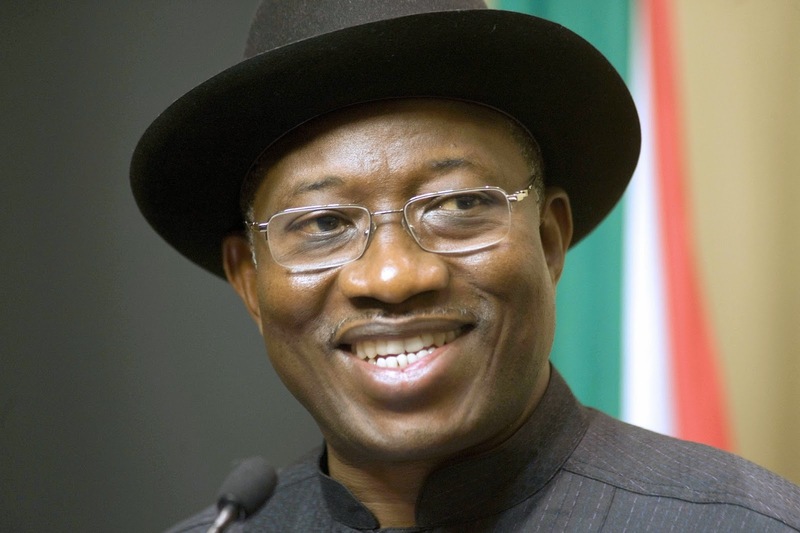 President Goodluck Ebele Jonathan is expected to be in Obafemi Awolowo University tomorrow for a yet to be confirmed purpose. Speculations suggest he will be meeting with major traditional rulers in the South-West over his re-election bid at Oduduwa Hall. In lieu of this development, the security strength of the University community has been stepped up and by tomorrow, public transports may not be permitted to move in and out of the campus. 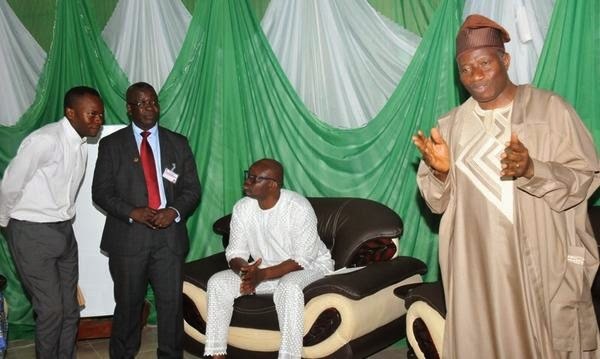 Consequent upon the visit of the President of the Nation, Dr. Goodluck Ebele Jonathan to the Obafemi Awolowo University campus on Friday,November 28th, 2014 for a meeting with the Council of Obas in the South-West, the reason for the presence of security operatives in the University campus. a. Conferment of Diploma Certificates. As We Begin Year 2015!